In the range of home décor @Home furnishings, the Hydrangea Flower Bunch is now a favourite among customers. It is available in a number of colours and the red bunch seems to be favoured by most. The product has a height of 56cm and is 20cm and 14.5cm long and wide respectively. 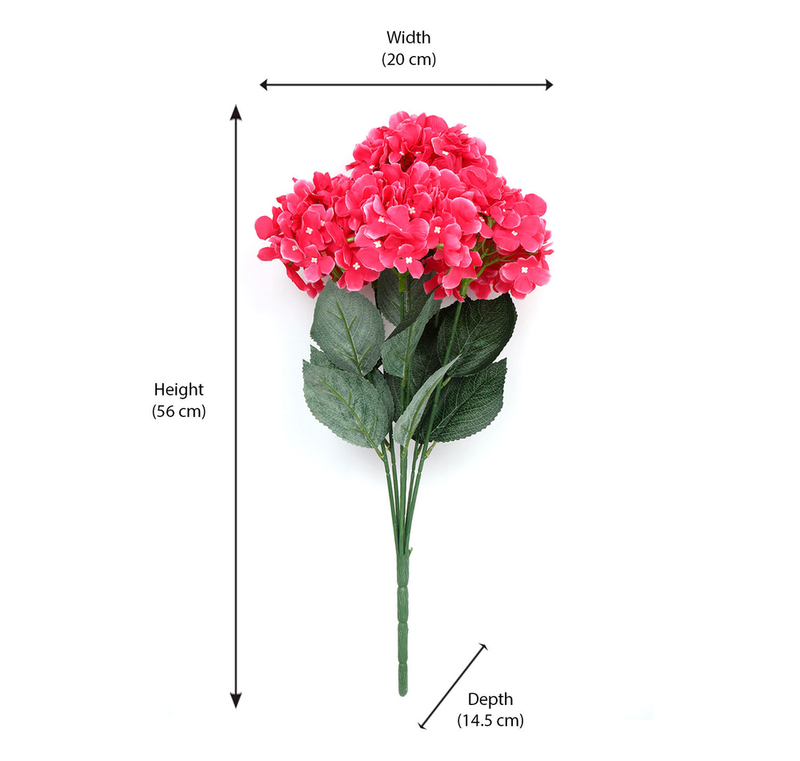 The flower bunch is made of plastic and synthetic fibres which can be easy to clean and maintain. The material also guarantees the durability of the product, implying that it will last you a long time. The artificial flowers are life-like resemblances of the real thing. Modern day décor of home interiors are largely cold and sleek, more utilitarian than aesthetic. A touch of nature can tip in some aesthetic appeal to the surrounding setting. Ornate vases are abound, but the lack of flowers in them gives off a resounding aura of emptiness. While fresh flowers may be difficult to keep in the vases, the artificial hydrangea flowers offer an easy solution. A little splash of red in the form of the product can really liven up the environment. If hydrangea is your favourite kind of flower, it is best to buy the product today to adorn your home with the flowers forever.